One of the first Americans to orbit the Earth will make a final voyage into space when his ashes are rocketed into the cosmos, the company providing the space funeral said Monday. Using ESO’s Very Large Telescope, astronomers  have recorded a massive star moving at more than 2.6 million kilometres per hour. Stars are not born with such large velocities. Its position in the sky leads to the suggestion that the star was kicked out from the Large Magellanic Cloud, providing indirect evidence for a massive black hole in the Milky Way’s closest neighbour. These results will soon be published in the Astrophysical Journal Letters . “At such a speed, the star would go around the Earth in less than a minute!”, says Uli Heber, one of the scientists at the Dr. Remeis-Sternwarte (University of Erlangen-Nürnberg, Germany) and the Centre for Astrophysics Research (University of Hertfordshire, UK) who conducted the study. 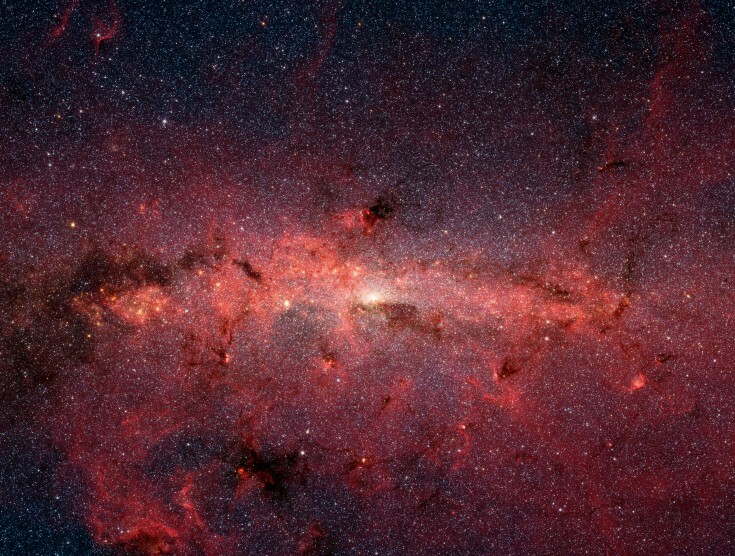 The hot massive star was discovered in the framework of the Hamburg/ESO sky survey far out in the halo of the Milky Way, towards the Doradus Constellation (“the Swordfish”). The data also revealed the high speed of the star, solving the riddle of its present location: the star did not form in the Milky Way halo, but happens to be there while on its interstellar – or intergalactic – travel. “But when we calculated how long it would take for the star to travel from the centre of our Galaxy to its present location, we found this to be more than three times its age”, says Heber. “Either the star is older than it appears or it was born and accelerated elsewhere”, he adds. Be sure to check out an artist’s rendering of the star here. For rocket designer Tim Pickens, a rocket on two wheels is the next best thing to a spaceship. Pickens, president of rocket-design firm Orion Propulsion, created his first rocket bike with fellow speed enthusiast Glenn May by bolting a 35-pound-thrust rocket engine to Pickens’s bike — enough power for a gentle push down the road. That project didn’t kill anyone, so Pickens got himself another bike and stepped it up, attaching a 200-pound-thrust engine capable of blasting him from 0 to 60 miles an hour in five seconds — fast enough to beat a Porsche in a drag race. The rocket bike employs the same hybrid rocket technology as the suborbital rocket plane SpaceShipOne, whose propulsion system Pickens helped design. Man, we would have done anything to have that bike when we were twelve. Improving the integration of satellite networks with more traditional terrestrial telephone infrastructures, will help next generation telephony move from concept towards reality, as researchers are demonstrating. It’s a cool site, worth bookmarking. I heard Sirius Satellite Radio had more than 180,000 “turn on” requests on Sunday, the day before Howard Stern’s first live show. The Sirius S50 unit — which performs a TiVO-like time warp while you drive and plays your MP3s — was selling like crazy before Christmas. Now a trademark filing reported by Reuters tells us Apple may have something bigger in mind. Are we having fun yet? More than 120 pages of proposed rules, released by the government Dec. 29, regulate the future of space tourism. This don’t-forget list touches on everything from passenger medical standards to preflight training for the crew. Before the trip, companies would be required to inform the “space flight participant” — or passenger — of the risks. Passengers also would be required to provide written consent before boarding. Legislation signed a year ago by President Bush and designed to help the space industry flourish prohibits the Federal Aviation Administration from issuing safety regulations for passengers and crew for eight years, unless specific design features or practices cause a serious or fatal injury. Physical exams for passengers are recommended, but will not be required, “unless a clear public safety need is identified,” the FAA says in the proposed regulations. Passengers also would have to be trained on how to respond during emergencies, including loss of cabin pressure, fire and smoke, and how to get out of the vehicle safely. To release the belt, lift up etc…. Laws governing private sector space endeavors, such as satellite launches, have existed for some time. But there had been no legal jurisdiction for regulating commercial human spaceflight. Public comment on the proposed rules are allowed through Feb. 27, and final rules are expected to be announced by June 23. An article in MosNews.COM tells us a ban on alcohol aboard the International Space Station (ISS) could be lifted in 2006 to allow crews nips of liquor after grueling work assignments, Russia’s Interfax news agency reported on Tuesday. Moderate alcohol consumption was tolerated on Russia’s Mir space station until it was decommissioned in 2001, Independent Online website reported. But a strict ban has been in place on the ISS since Russia and the United States sent the first joint crew five years ago. A tentative step was taken before New Year to loosen the measure when gifts sent on a cargo ship to cosmonaut Valery Tokarev and astronaut William MacArthur were thought to include chocolate liqueurs, the source said. However, while Russian space controllers may favor allowing modest rations of cognac, the preferred drink of orbiting cosmonauts, the US space agency Nasa has previously insisted that missions must be teetotal.